Here is a link to the Klebercz family tree, kindly provided by Mr Dezso Klebercz. The family tree shows that these co-owners of Reca maintained active social contacts in the region - as their marriages to members of other noble families from outside the village attests, such as the Fodor, Szalay, and Petrovics families. Also notable is the marriage of Vilma Csemez (1897 - 1967) to a member of the Klebercz family. 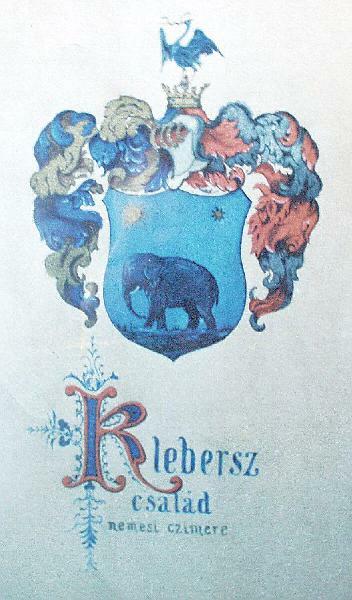 The Csemez family was an old and respected Bratislava County family, with large estates and a number of their members in county and royal posts. From this family comes the unfortunate Istvan Csemez, who was chief szolgabiro (iudex nobilium) of Nitra County and who was the subject of a rancorous debate on state corruption in the Hungarian Parliament (Gyorgy Smrecsanyi, to great noise in the Upper House, said that Czemez's activity only really begins in the evening, with his gallows assistants) - Seton-Watson, R.W. : Corruption and Reform in Hungary, London 1911. An entire page of this blog is dedicated to the Klebercz family, which outlines its descent from the medieval kindred of the Elefanthy.